Set the oven to 400°F to preheat. Crack the eggs in a bowl. Add the garlic powder, melted butter, dried parsley, and seasoning powder if you have some. Salt to taste. 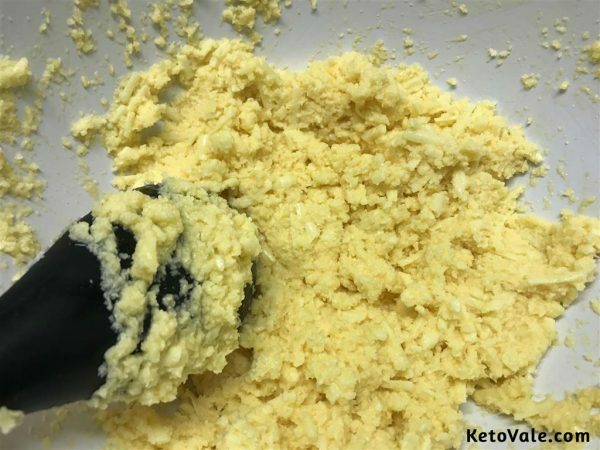 Combine the cheese into the mixture together with the baking powder and coconut flour. Fold until you obtain a lump-free mixture. Grease a cookie sheet before adding the batter into it. Place ice cream size scoops into the sheet. 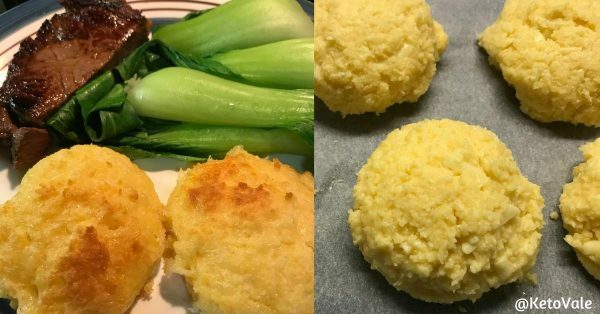 Lightly brown the biscuits in the oven for 15 minutes. Serve with any meal or eat them alone. If you like to keep them for later, allow them to cool completely before storing in a jar to preserve the crispness. 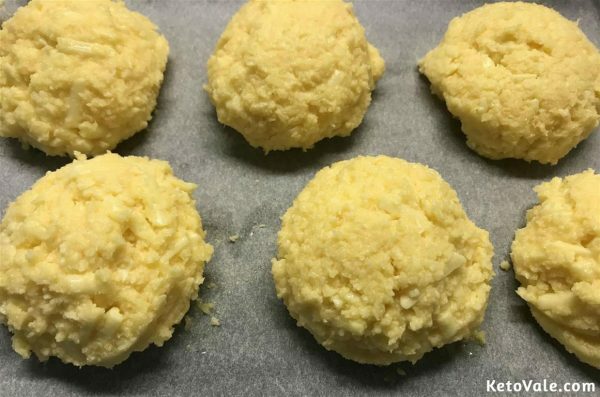 The ingredients are enough to make approximately 4 servings or 8 biscuits in total. 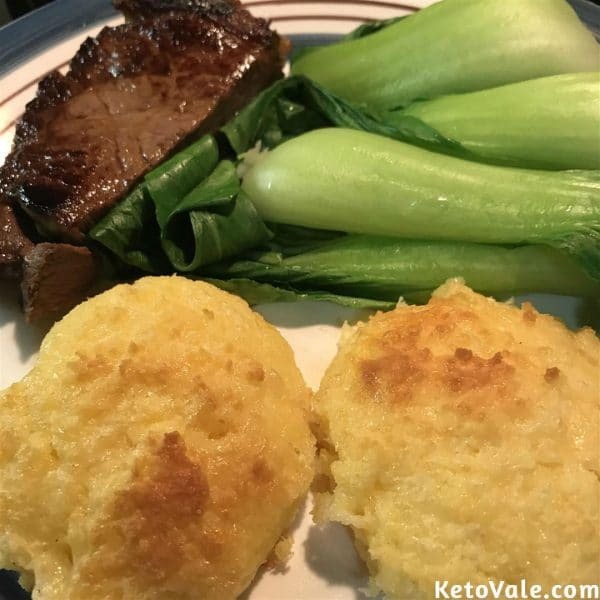 The serving amount is 2 biscuits and can be served with veggies and meat or fish. 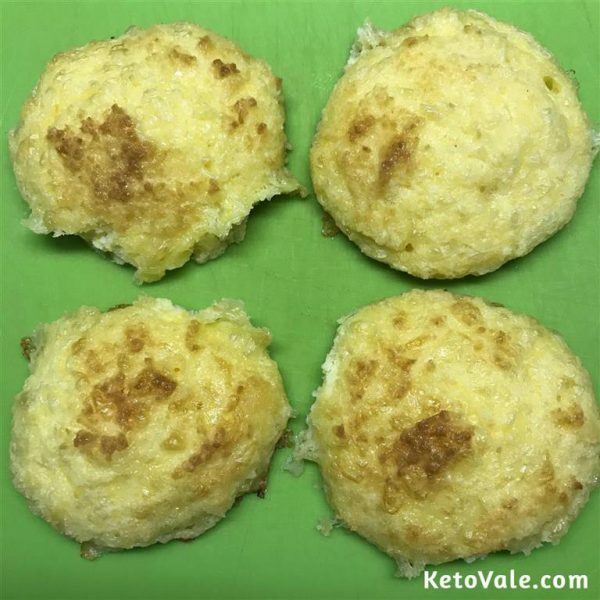 This is our first time making the low carb version of the cheddar biscuits using coconut flour. If you whisk the batter well, they will be perfectly cheesy. You can make them round or flat.